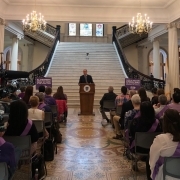 BOSTON – The Massachusetts House and Senate Senate took historic steps to address the Alzheimer’s and dementia healthcare crisis in the Commonwealth voting to pass an Act relative to Alzheimer’s and related dementias in the Commonwealth. The legislation, championed in the Senate by Senator Jason Lewis, marks major progress in supporting individuals with Alzheimer’s and dementia, their families, and their caretakers. 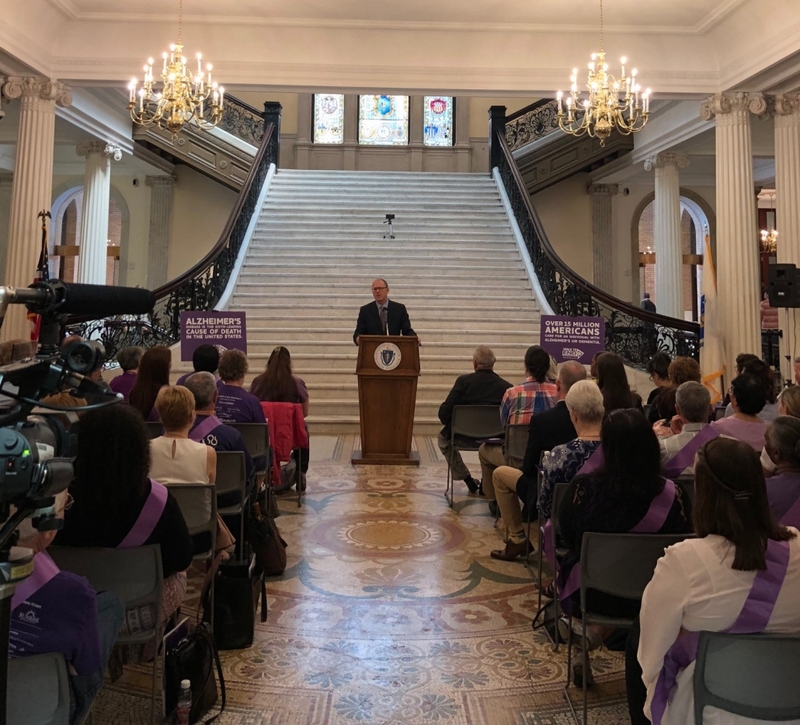 More than 130,000 people are currently living with Alzheimer’s disease in Massachusetts—those individuals are being cared for by more than 337,000 family and friends. According to the Alzheimer’s Association, in 2018 Massachusetts will spend more than $1.6 billion in Medicaid costs caring for people with Alzheimer’s. In 2017, Senator Lewis convened a special legislative hearing on the Alzheimer’s and dementia healthcare crisis. Advocates from around Massachusetts testified about the real challenges produced by dementia. This hearing was a catalyst for legislative action in the House and the Senate, as elected officials learned more about devastating toll of Alzheimer’s: not just on those with the disease, but also on their families and caregivers. Nearly 60 percent of caregivers rate the emotional stress as high or very high, and about 40 percent suffer from depression. The legislation helps patients and their families receive better, more comprehensive care. Caregiving for people with Alzheimer’s is an energy- and time-intensive endeavor and when medical emergencies occur for unrelated conditions, people with Alzheimer’s and related dementias often fare poorly in the acute care setting. This bill helps ensure that caseworkers, medical providers and hospital administrators and staff better understand Alzheimer’s disease so that they can provide the best treatment possible for patients and clients who are brought to them. The bill now sits on Governor Charlie Baker’s desk awaiting his signature.